Multiple bomb attacks in Brussels, Belgium, have killed 34. ISIS has claimed responsibility. 1. Pallas undecile Pluto; Pluto square Uranus and parallel Saturn (rulers of Pallas). 2. Venus in Pisces conjunct/parallel Neptune. Venus co-ruler Jupiter opposite Neptune. 5. Sun quintile Pluto via Mercury. The "undecile" aspect (here between Pluto and Pallas) is normally too weak to trigger a major event, but in this case Pluto is already in aspect to both Pallas' sign rulers, allowing even a very weak spark to set off an explosion. 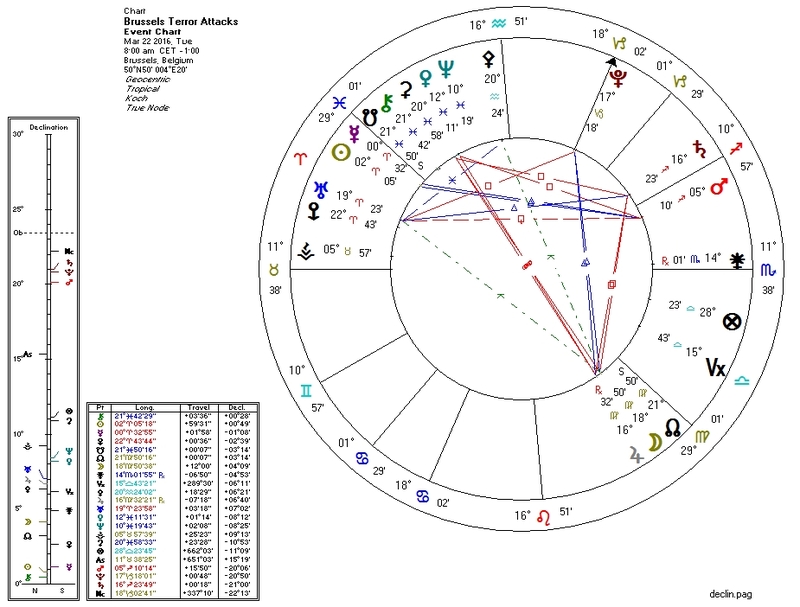 Pallas is compromised by transit on the chart of Belgium by a trine from the transiting South Node which is also conjunct Pallas' co-ruler Mars. 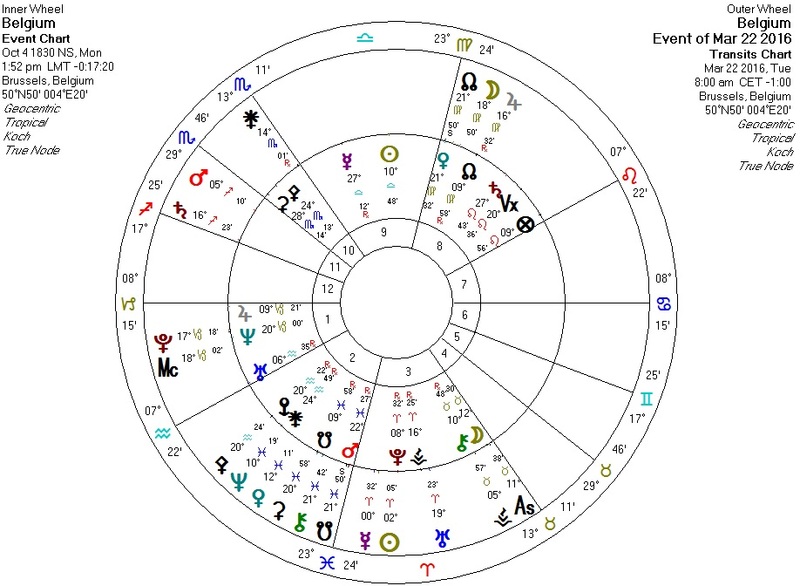 Usually in mass-murder events it's Pluto that does this on the chart of the local government, but the South Node and Jupiter in certain configurations can have a similar effect. Being that attacks from a foreign entity increase anti-foreigner sentiment and the likelihood of an attack by the reigning government on the attacking foreign entity... who benefits?